Dufour seems to be gaining popularity in the Adriatic. Can you tell us more about your sale results in Croatia? One of the reasons for the increased presence of Dufour yachts in Adriatic charter fleets is our simplified sale strategy. Several years ago we decided to cut out the middle man and do business directly with charter companies. This year, in the 10-15 meter segment, Dufour is the highest selling brand in the Adriatic. I can’t give you numbers, as this is confidential, but I can tell you to look around any marina and see how many Dufours you can spot. What makes Dufour so popular, in your opinion? I believe our success is, in part, due to Gib Sea, the model many a charter users still consider to be the perfect yacht. These days we’re building yachts that can give you both excellent performance and a high level of comfort. What more could one want in a charter yacht? Also, our yachts have an attractively high post-sale, post-financing value. So, after five to seven years owners can re-sell them for a lovely sum, which in charter is a big plus. What do clients and companies appreciate most about your yachts? In the past several years, we have adapted our models to clients’ needs. We have added fridges and grills to the cockpit area, as people usually do spend most of their time on a yacht outside. We have yearly meetings with key clients and charter agencies; we listen to their ideas and use that feedback to further adapt and improve our yachts. Two-way communication between the client and the builder is very useful, as is proven by our sale results. What are your most popular models? On our ‘most wanted’ list are the three-cabin, two-head models Dufour 382 and Dufour 412. As is the four-cabin, four-head Dufour 460, an absolute winner as it is the only model in its class with that configuration. Recently, we have noticed one of our larger models, Dufour 56 Exclusive, is gaining momentum with buyers. What are your plans for the future, seeing as how you are already doing more than well? 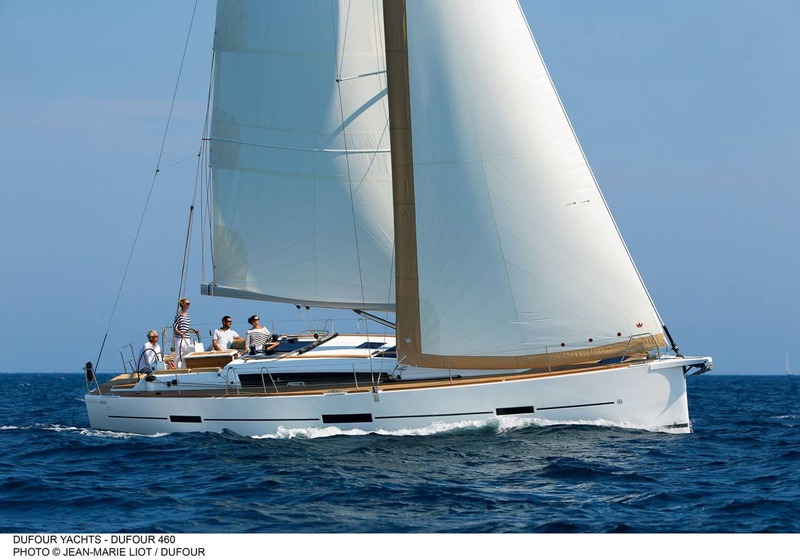 This year, Dufour has entered the 60 plus feet segment with our already popular 63 Exclusive. Our next big step is the development of a catamaran (Dufour Catamaran) with designer Umberto Felci. Even before the official debut, the catamaran has a waiting list, which says a lot about the trust our clients have in our yachts. In the recent years the yachting industry has been caught in the same new-model frenzy as the car industry, so Dufour also has plans to offer new models and freshen up the existing ones every year. What are your personal impressions of the ‘rest of the market’? Worldwide, Dufour is doing especially well in Greece and Spain, with ever growing sales. We are very popular in Austria as well, mostly among private clients and due to partnering with charter management programs. Interestingly, we are very popular in Hungary, among private clients who sail on Lake Balaton (which is only 70 kilometers long!). I believe this is all due to our excellent strategy and constant investment into the brand.